The Arlo Ultra housing is a bit flatter and more cylindrical than the Pro and Pro 2 cameras. In addition to the higher resolution sensor, Arlo Ultra has an integrated spotlight and a wide-angle lens that protrudes slightly from the face. 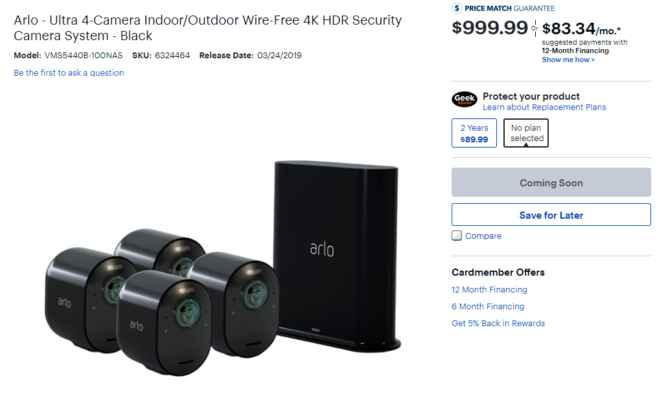 On the Best Buy website, you can see page for the Arlo Ultra in black that's listed as "coming soon." The entire camera housing is black instead of just the face, and the wireless hub is black to match. The white cameras are probably fine for most people, but Arlo has always offered skins to camouflage the devices as needed. The black cameras might save you a few bucks if white would just stand out too much. 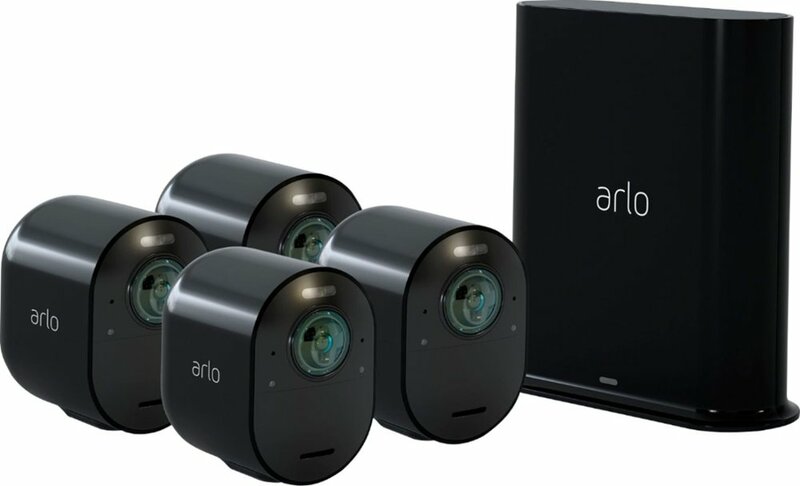 Presumably, the black Arlo Ultra cameras will come with the same set options starting at $600 for a 2-camera set. So far, Best Buy only lists the 4-camera set for $1,000.